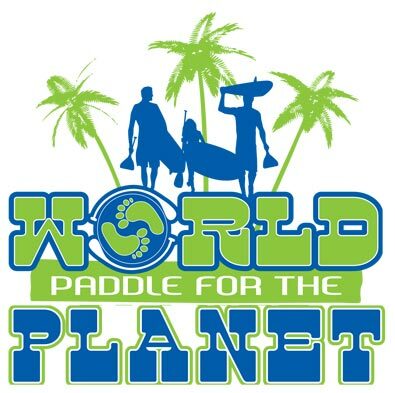 World Paddle For The Planet is an eco-educational fundraiser festival that will be held at Carillon Beach in Panama City Beach, Florida, October 10-13, 2013. With satellite events around the world, the purpose is to educate and raise awareness, sending the message worldwide, to “Be the change you want to see!” Funds raised by this event will benefit Expedition Florida 500, a project of Mother Ocean. Education Day, Friday October 11, will feature educational booths presented by NOAA, Choctawhatchee Basin Alliance, Turtle Watch, The Shark Whisperer, Lake Powell Community Alliance, and many other groups known locally and nationally, followed by speakers on topics of immediate urgency at a round-table summit. Booths with eco-art will line the main street of Carillon Beach and local musicians will be playing music for the event on the nearby green. At sunset on Friday October 11, Family Paddle begins on Carillon Lake, an event where families may try out the beautiful LED glowing standup paddleboards provided by NightSUP as the sun goes down. Saturday’s events will be led off by qigong with British Columbian Planet Paddler Bob Purdy, and Ocean Hour shoreline clean-up led by eco-adventurer Justin Riney of Expedition Florida 500. At noon on Saturday the feature event begins, a 24-hour endurance paddle by individuals and teams, on beautiful Lake Powell. Paddlers in canoes, kayaks, and on standup paddleboards will paddle a course on the lake for any part of or all of the 24-hour period from noon on Saturday, October 12, to noon on Sunday, October 13. Lake Powell Community Alliance will have boats on the Lake to provide water, support, and emergency service. The festival will close on Sunday, October 13, with a recognition ceremony, event videos, and a concert by musicians of local renown. For more information, go to the event website, Standup Journal, or contact Leslie Kolovich at supradioshow@gmail.com. Click Here To Watch The Surftech Shootout Live!